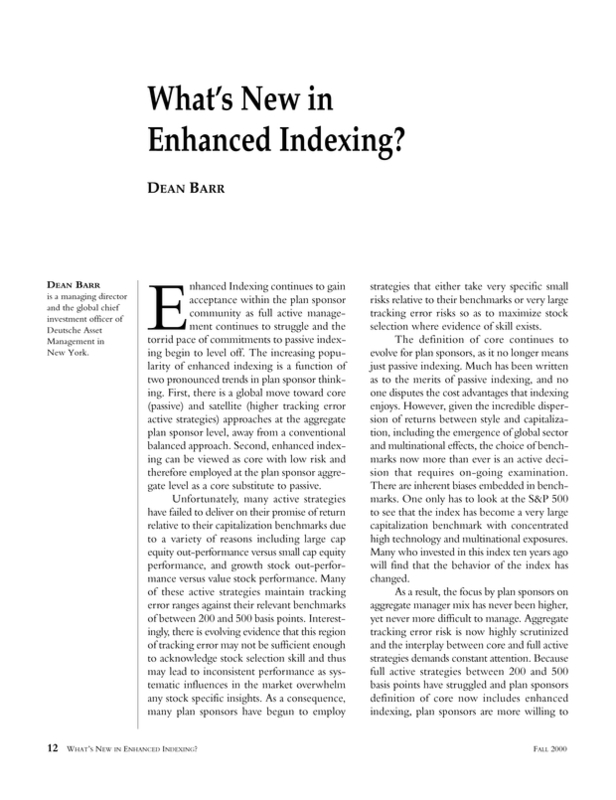 What’s New in Enhanced Indexing? is a managing director and the global chief investment officer of Deutsche Asset Management in New York. You are going to email the following What’s New in Enhanced Indexing?